This is a premium fashion bag with incredible looks. 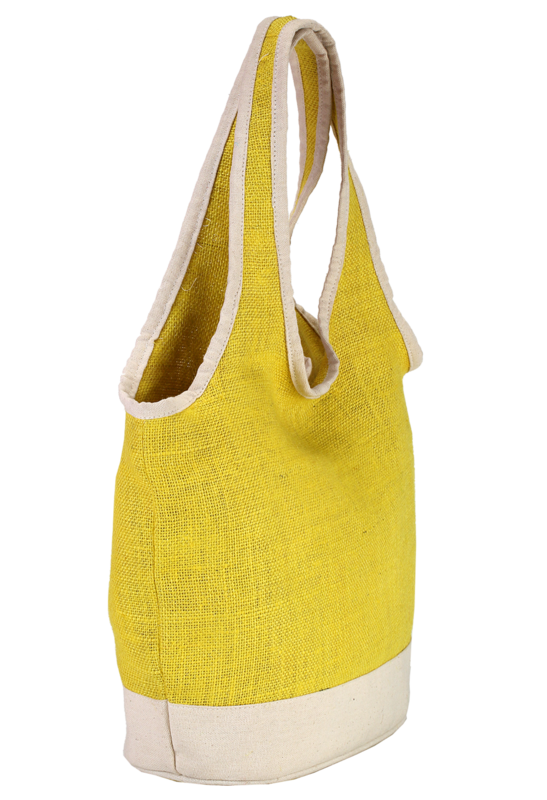 You can use this bag as a shopping bag or as a handbag or a tote. This bag is 50 cm in height, 40 cm in width and 12 cm in depth that ensures quite a good place for things to accommodate. 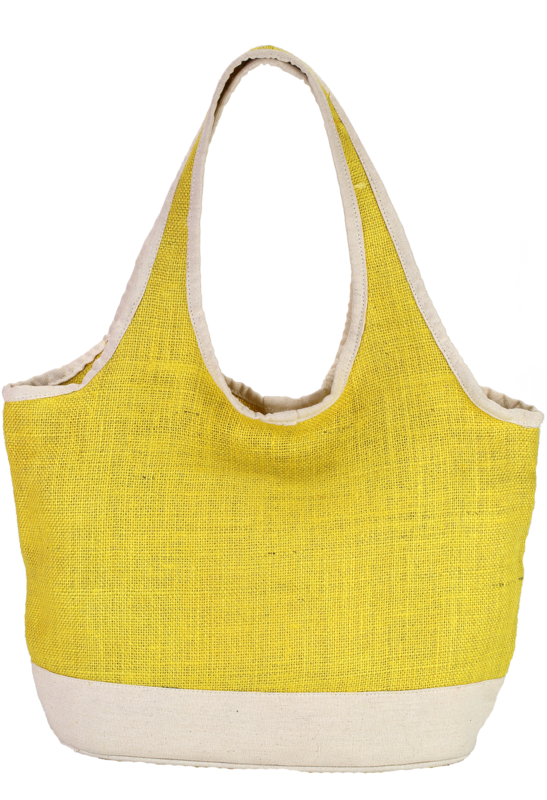 This Jute bag is colored in yellow having a white line as a border at the base and at the top.